In Sekiro: Shadows Die Twice, players have the opportunity to find and use items in combat, including one known as a Sakura Droplet. Unlike items that give you an edge in combat against certain enemies, like Prayer Beads, the Sakura Droplet works a bit differently in that it gives you an additional Resurrection charge. Curious to learn more? Read on to learn where you can get a Sakura Droplet and what it’s used for in Sekiro: Shadows Die Twice! Defeat Lady Butterfly in Sekiro: Shadows Die Twice to earn a Sakura Droplet. 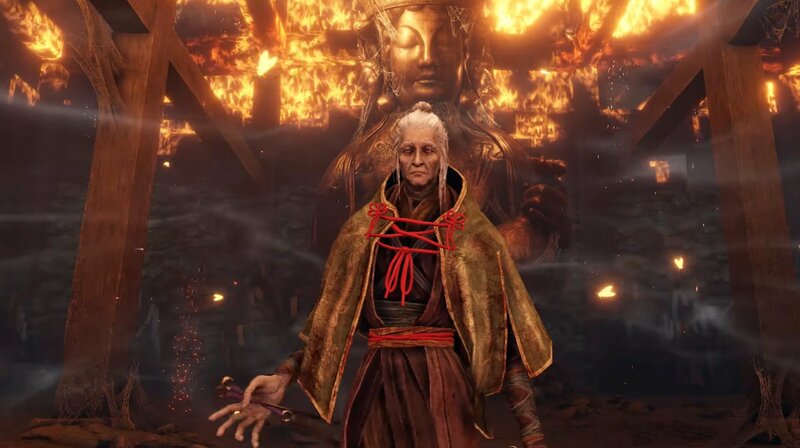 To get a Sakura Droplet in Sekiro: Shadows Die Twice, you’ll need to defeat Lady Butterfly. Like any boss fight, it can be somewhat difficult to defeat Lady Butterfly. As such, we recommend picking up consumable items like Snap Seeds before taking on Lady Butterfly in Hirata Estate. For more on how to defeat Lady Butterfly, be sure to check out this helpful guide courtesy of our friends over at Shacknews. By defeating Lady Butterfly, you’ll be rewarded with the Sakura Droplet item. Note that if you already earned a Sakura Droplet during your first run, you won’t be able to get it again once you start up your New Game + run. The Sakura Droplet can only be earned after you defeat Lady Butterfly the first time. Any subsequent Lady Butterfly battles you partake in will grant you Experience Points, with no additional Sakura Droplets awarded. As for what the Sakura Droplet is used for, it can be exchanged for an additional Resurrection charge. To add this Resurrection charge, you’ll either need to visit the Divine Child of Rejuvenation in the Inner Sanctum of Senpou Temple, or Kuro at Ashina Castle. By giving them your Sakura Droplet, you’ll receive an additional Resurrection charge. Overall, the Sakura Droplet is both a rare and useful item to get your hands on in Sekiro: Shadows Die Twice as having that additional Resurrection charge will undoubtedly come in handy as you progress through the game. While it may take you a few tries to defeat Lady Butterfly, the time put in is well work receiving the Sakura Droplet as a reward. To help you prepare for your fight against Lady Butterfly, we've also included a helpful video overview down below, courtesy of YouTube user Fextralife. Now that you know where to get a Sakura Droplet and what it’s used for in Sekiro: Shadows Die Twice, be sure to check out some of our other guides including every Prayer Bead location in Sekiro: Shadows Die Twice, how to defeat the Centipede Monks in Sekiro: Shadows Die Twice, and all Shinobi prosthetic tool locations in Sekiro: Shadows Die Twice.